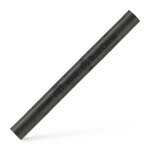 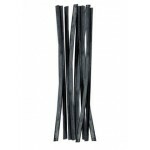 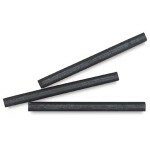 Charcoal pencils consist of compressed charcoal enclosed in a jacket of wood. 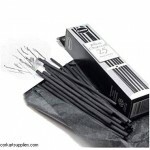 Designed to be similar to graphite pencils while maintaining most of the properties of charcoal, they are often used for fine and crisp detailed drawings, while keeping the user's hand from being marked. 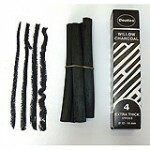 Other types of artists' charcoal such as charcoal crayons were developed during the 19th century and used by caricaturists. 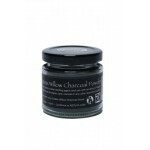 Charcoal powders are used to create patterns and pouncing, a transferring method of patterns from one surface to another. 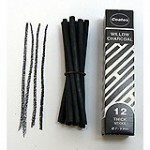 Charcoal Pencils can be found under "Pencils and Pens". 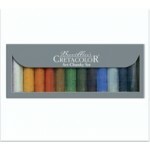 Set of 6 Tinted colours ..
No. 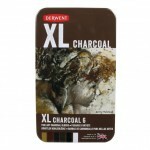 10 - 153x11mm - For smudging and blending - 5pc ..
No. 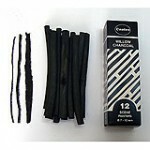 12 - 153x13mm - For smudging and blending - 5pc ..
No. 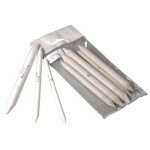 6 - 153x7mm - For smudging and blending - 5pc ..
No. 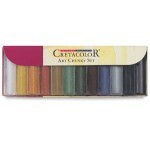 8 - 153x8mm - For smudging and blending - 5pc ..